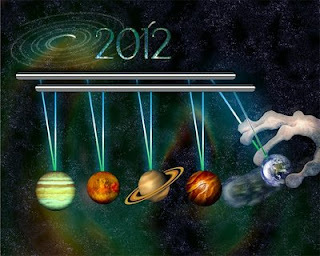 The 21st century World-Wide Issues: Will the world end in 2012? The main reason some people think this is (aside from the fact that they're extremely gullible) the ancient Mayan calendar essentially resets in December of 2012. Now, you might be asking yourself: "So what?" Congratulations, this is the sane response. There's no reason to believe that it will be any more significant than January 1, 2000 (in fact, since nobody still uses the Mayan calendar, there's good reason to believe it will be much less significant). After all, does a car fall apart the instant the odometer rolls over? Particularly if it's some weird aftermarket odometer that measures in furlongs or something that hardly anyone uses anymore? The Mayans themselves don't seem to have been particularly concerned by it, since there are inscriptions indicating that the anniversaries of certain events would occur on dates even further in the future than 2012: a bit odd if they really thought the world would end in 2012. If the Maya had predicted the end 300 years ago, that would have been a lot more impressive, since for their culture it more or less did. However, most predictions have to do with numbers. Writing the numbers out you get 12 21, 2012. If the world were to end as to someones prediction, it should make numerical sense. Writing it out 21 12 2112 would make more sense. It is very unlikely we will all die in 2012. Posted by caputi at 7:03 p.m.